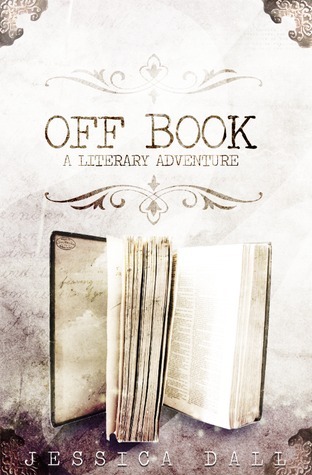 Quirky, off-beat, but quite charming, I really liked the unique premise of OFF BOOK, from REUTS Publications. Many of us (I expect) have wondered what it would be like to exist in a story, or what character’s lives might be like after the novel is over. But author Jessica Dall goes one step further here, and presents the reader with a world of characters before they are written into novels. This pre-novel existence poses many questions to those characters who are unwritten. For example, when they finally get chosen, would their existence span a long time, as a main character within a series? Or would their literary existence be brief, as in killed off, or somehow written out another way. What would happen to them, then? Another character reality…what if their author starts writing them into a novel, but never finishes it (writer’s block…)? What happens to those characters then? Jessica Dall presents us with the perspective of a character, believing they may never be chosen to become part of an author’s book. As both a reader and author, I have sat at both sides of the table: The author who brings the characters to life on the page, and the reader, welcoming the characters into my life. From an authorly standpoint, reading OFF BOOK has given me the motivation to finish writing all of my novels, so that my characters, who I adore so much, will have some sort of completeness in their lives! Weird? Maybe. But that’s my reality, and that is the hook of Dall’s book. If you are a reader who enjoys unique character perspectives, check this one out. Highly recommended!